Phew …. it’s been a busy few days what with one thing and another! I’ve been working hard on a couple of commissioned designs as well as the March magazine, so haven’t been around much online recently. But here I am now with a new updated Humphrey pattern. Humphrey was one of my original free patterns – based on a vintage design from my own childhood. I’ve updated that old pattern and included some a few tips on how to stop fabrics fraying when hand stitching your softies. If a softie’s quite plain I sometimes feel felt can be a bit (whisper it) boring so it’s nice to use a patterned fabric, though you do have to deal with the fraying issue. I thought Humphrey needed this patterned treatment which in his case has acted a bit like a face-lift! He now looks a lot younger than his age recreated in a lovely vibrant pink check ….. If you’d like to make your own Humphrey, please just CLICK HERE to download your updated free pattern. 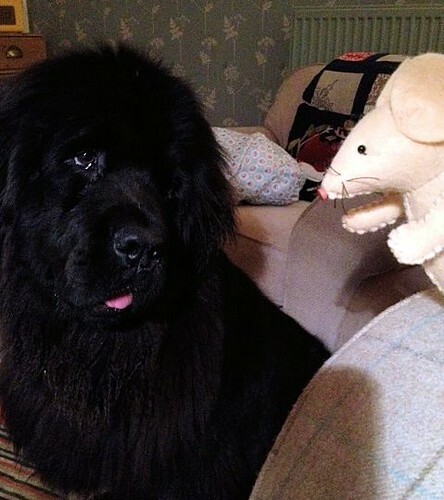 I’ve had to keep Humphrey – and his friend, the famous super-model(!) Sidney well out of Daisy’s reach while taking their pictures. I think she is becoming rather jealous that they take all my attention while I’m sewing them ……. She enjoyed her walk today though – the first time for ages that we’ve enjoyed a bright sunny morning – perfect for a longer excursion. 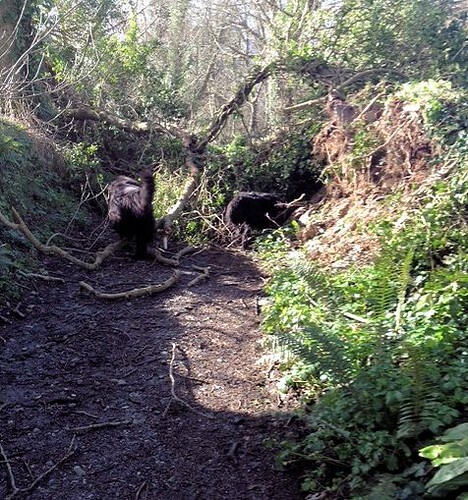 But the bridlepath was blocked by a fallen tree – a casualty of the recent gales. We approached the problem in various – but very typical – ways. I stood back – assessed the situation, measured by eye and decided I could clamber over the tree through a gap in the branches. Ben used his enormous strength to force a hole then shoulder his way through the lower branches, whilst Daisy – oh dear – couldn’t wait to follow her brother through the hole he’d made but twirled round and round in mad excitement, then made a flying leap, became stuck in the tangle of ivy festooning the trunk and had to be rescued. Silly puppy! 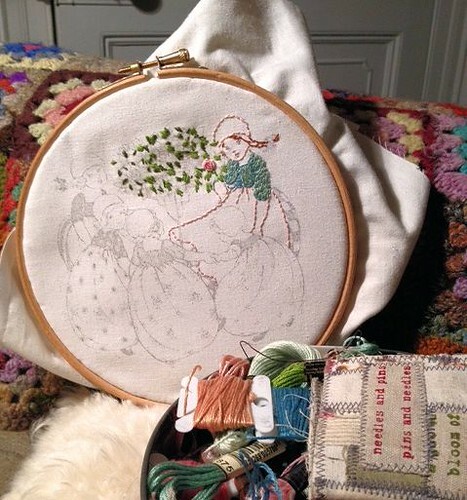 Then home for a little stitching on another project for the March magazine…. A vintage illustration from “The Rosie Posie Book” by Anne Anderson. I’m really enjoying stitching this – it makes me think of summer days to come and I hope subscribers will love it too. Hahaha, I have been visiting this blog for a while and never noticed! Probably because usually ads that annoy me are stuffed there on blogs (not the bloggers fault) so I just ignore the sides…..
Humphrey’s update makes him look so dapper. I love hearing of Ben and Daisy’s latest escapades and the picture of Miss Daisy looking at the mouse is gorgeous – her face is so expressive. She is absolutely adorable (and Ben is, too, of course, but in a more ‘handsome’ way). 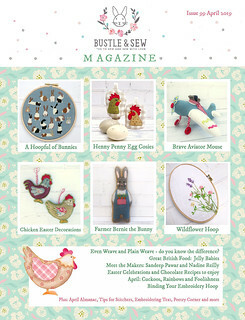 As usual I can’t wait for the next issue of Bustle and Sew; it looks fantastic! You are just ‘sew’ clever, Helen. Do you know I had a Humphrey, well actually I had a Delia, very similar in shape to Humphrey! Great pattern, have just started sewing so will give it a try! Have pinned! What a wonderful site. There is such happiness here. 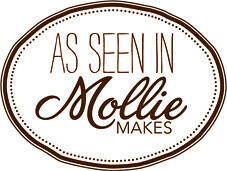 I love your stories and all your designs. I also love the whimsy and joy you provide. I enjoy your pattern for Humphrey. I will be making him for sure. I would really like the pattern for the dog standing next to Humphrey. Is it free also? I can’t seem to be able to open the link for Humphrey. Could you send it to me? my neice who bought SIDNEY and I are trying to make Sidney. Question .. how are his pads inserted? Do you sew foot closed and then put pad on? Humphrey is darling. I’ve seen the pattern pieces, but do you have a picture of his underside? I’m curious how the pieces are joined. Thanks. Hi. 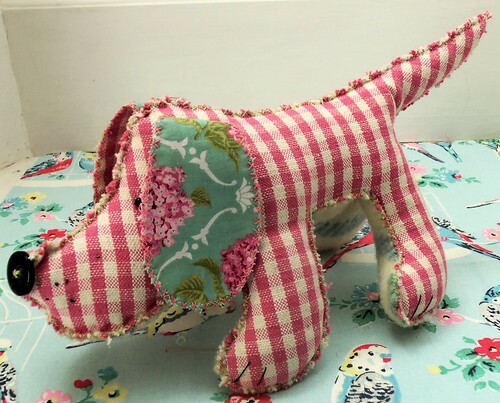 I’m wanting to make this for my children and neice’s and nephews with clothes from my (sadly passed away mummy)… She was a real dog lover and a fleece wearer (I plan to make fleece ears) I am not amazing at sowing (although not quite a beginner) I want to hand sow them but was thinking the seams process that sounds best involed the sewing machine. I wondered if I cut the pattern slightly larger and sewed it inside out and then pushed it all back through… Would it look ok? Thought that would avoid seams…. I’d have to sew up the hole I pushed through but thought I could be creative with that! 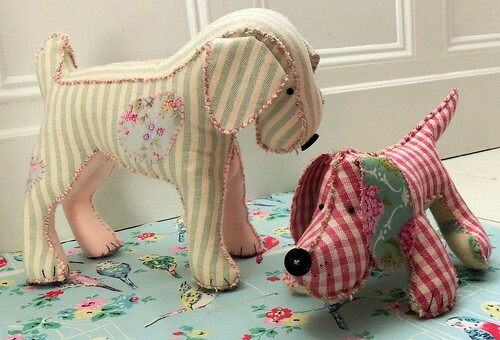 is the other dog that is seen with humphrey in the picture free pattern available?